For more than 100 minutes on the first morning of this four-Test series for the Border-Gavaskar Trophy, Australia was in dreamland. On a pitch that Shane Warne had described as “an eighth-day wicket”, Matt Renshaw and David Warner had survived a probing new-ball spell from Ishant Sharma and the wiles of R Ashwin, who had settled into a groove right away with the hard red cherry in hand. Then, Warner inside-edged Umesh Yadav on to his stumps, Renshaw got ‘runs’ of another kind, and Australia’s innings slowly unravelled. Having been 82 for 0, it limped to 205 for 9, before an exhibition of clean-as-a-whistle striking from Mitchell Starc lifted it to 256 for 9 by stumps on Thursday (February 23). 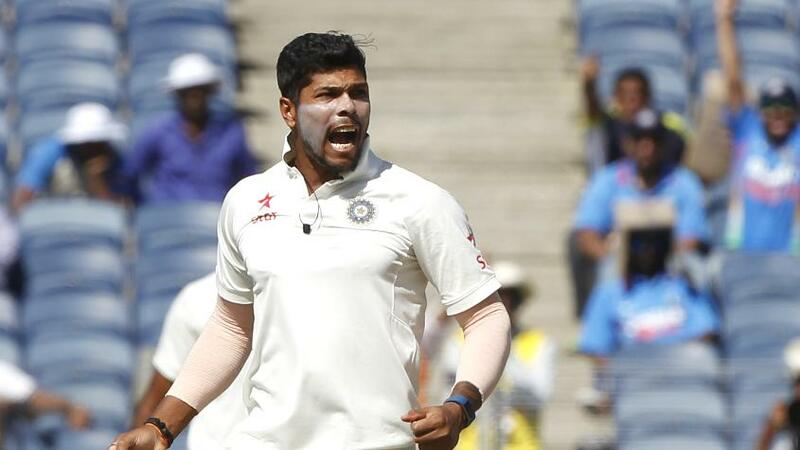 Almost predictably, Ashwin was the star of the show, but there was sterling support from Ravindra Jadeja and Umesh, who swept through the tail to finally earn the rewards his bowling had deserved all season. Each of the Australian top five faced at least 45 balls, but apart from Renshaw – who saw off 156 deliveries in two instalments for his 68 – and Starc, not one of them crossed 40. It was an object lesson in how not to bat on the sub-continent, with promising starts squandered more by poorly chosen shots than any unplayable balls. The rot set in a few minutes before tea. 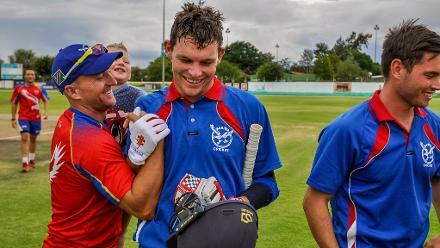 Steve Smith and Peter Handscomb are widely regarded as the two most adept against the turning ball, but it was the one that went straight on that ended a 30-run partnership between the two. Jadeja had threatened Handscomb’s pads earlier as well. This time, he was caught on the crease, with the ball evading the downward swing of the bat. Five balls later, Smith, who had nudged and clipped his way to 27 from 94 deliveries, stepped out to Ashwin and could only on-drive straight into the hands of Virat Kohli at mid-wicket. Mitchell Marsh, who averaged 23 with the bat in his 19 previous Tests, successfully reviewed a caught-behind decision in favour of Ashwin, but didn’t stick around long enough to enjoy his good fortune. Again, it was the straight Jadeja dart, this time striking the batsman plumb in front of off-stump. Through the carnage, Renshaw – who had resumed on 36 not out – showed off a compact defence and some lovely strokes, especially two straight drives off Jayant Yadav that streaked to the rope. The innings plunged into further trouble when Matthew Wade was given out leg before by Nigel Llong that the batsman reviewed with no success. But the real sucker punch came 17 balls later, as Ashwin induced Renshaw to play at one that turned across his body to take the edge through to M Vijay at slip. After that, it was the Umesh show. First, Steve O’Keefe was brilliant caught by Wriddhiman Saha, diving to his right goalkeeper style. That made it 205 for 8. The very next ball, Nathan Lyon was pinged on the pad. Again, the Llong finger went up. Again, the batsman reviewed. Futilely. With India getting through the overs so quickly, there was enough time left in the day for Starc to clear his feet and launch each of the spinners for leg-side sixes, as the innings ended on a positive note. He reached his half-century from just 47 balls – crossing 1000 Test runs in the process – while dominating a rapid 51-run stand to which Josh Hazlewood contributed just one (30 balls). That had been the morning theme as Warner and Renshaw slowly settled down. Ashwin gave them nothing to hit, but on the two occasions he strayed down leg, Renshaw was alert enough to help the ball along to the fine-leg boundary. Warner faced just 19 balls in the first ten overs, but he too didn’t let scoring opportunities slip by, clipping and cutting Jayant for fours when he came on. Renshaw survived a review from Ashwin – the bat had brushed pad – when he had 12, and Jayant, who had overstepped by a distance, then bowled Warner behind his legs. Emboldened by these reprieves, the batsmen upped the ante in the second hour. Renshaw stepped out and clipped Jadeja for four, before clearing the rope at long-on after a similarly decisive sashay out of the crease. Jayant, who replaced Bhuvneshwar Kumar from the XI that beat Bangladesh in early February, pitched too short and was duly punished for it, and India was beginning to exhaust its options when Kohli finally turned to Umesh for the 28th over of the morning. Warner fell, Renshaw disappeared into the pavilion with him, and the match was transformed.